Purchase this product now and earn 1,250 NewBonneville Bucks! Brand new for the Triumph Rocket III is this very cool 3 into 2 exhaust setup. At 110 decibels (without baffles) you’re sure to be heard. For a quieter ride, you can insert the removable baffles to tone your bike down to 94 decibels. 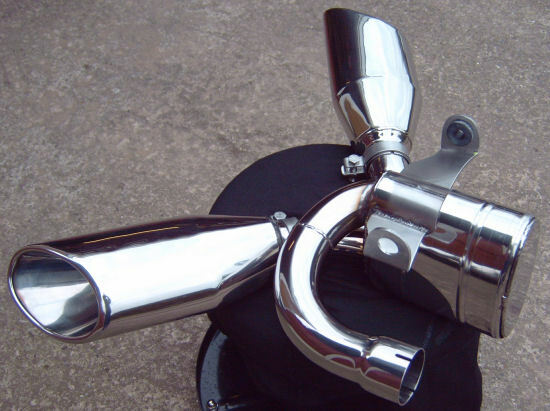 Made entirely of 300 series stainless steel and polished to a mirror finish, these handmade pipes require no ECU remapping on a stock bike (map necessary when installed with performance intake adjustments). Does NOT fit the R3 Roadster or Touring.